Do you want to give a non-mushy, non-overly-lovey, non-heart, non-pink, or non-red Valentine card this year? Well, here is an alternative Valentine card, that still speaks love. Without being overly girly, this card could be great for the man in your life. With masculine, earthy colors and distressing, this card is non-intimidating. 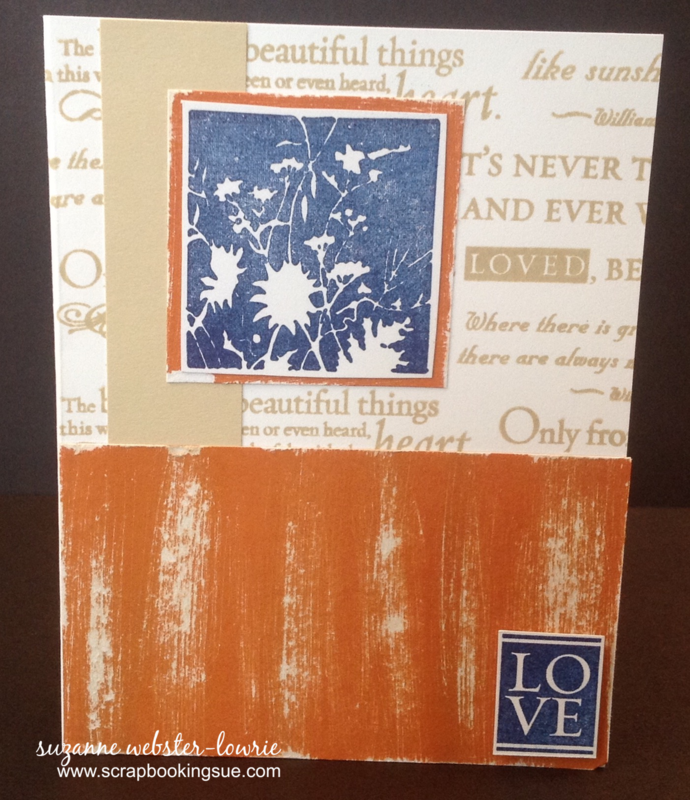 The background was stamped with various love phrases and quotes, and then layered with Goldrush cardstock. The cardstock was lightly rubbed with some sandpaper to reveal the white core and give a distressed look. 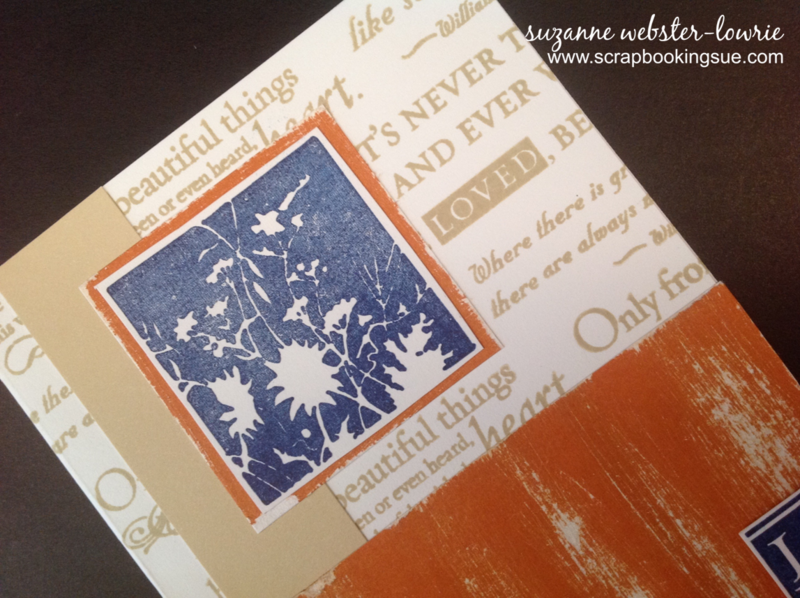 The “LOVE” sentiment and flowers were stamped in Moonstruck ink.